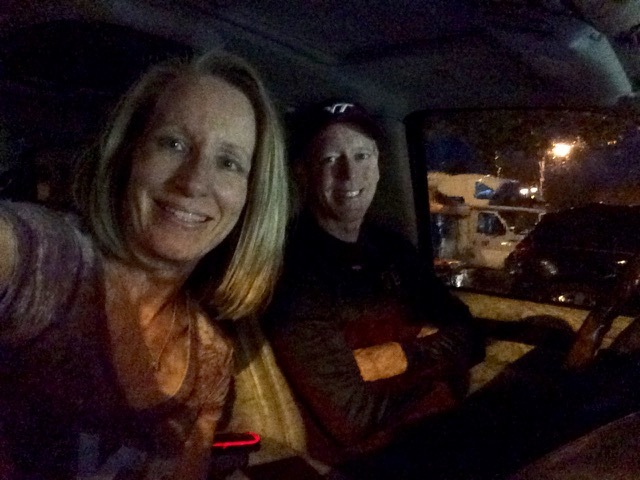 Ten days ago Bill and I headed to Blacksburg for a Friday night Virginia Tech game against North Carolina State. 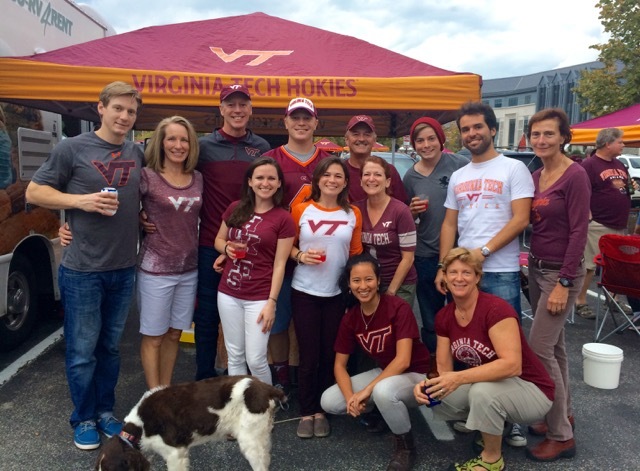 Blacksburg is our home-away-from-home, and we always have so much fun when we’re in town. 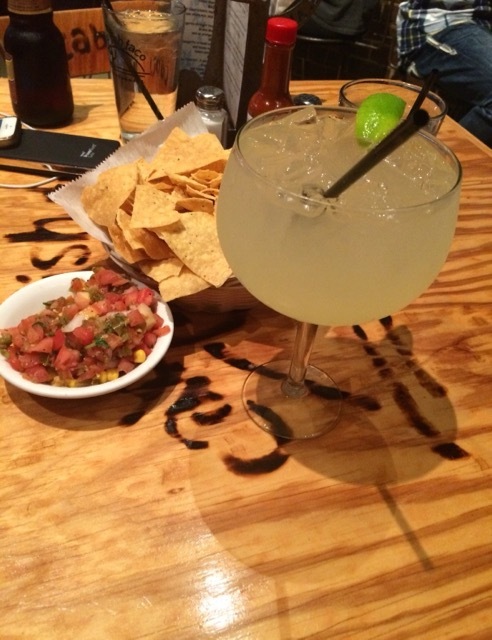 Our first order of business was drinks and dinner at Cabo Fish Taco! Friday morning we hit our favorite trail for a run for me and a walk for Bill. 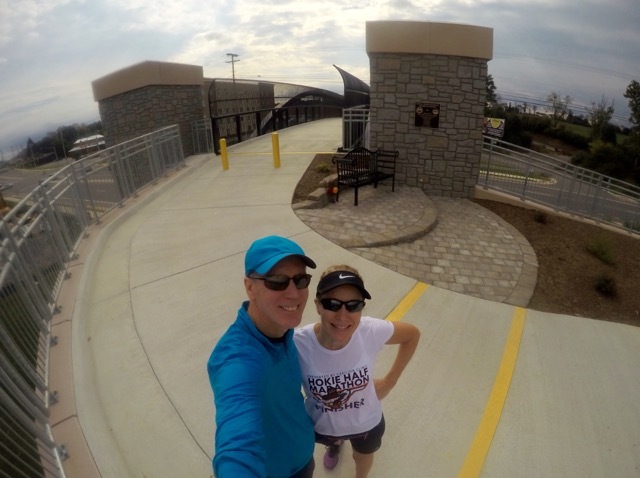 We parked at the mall in Christiansburg so we could check out the newly opened bridge connecting the old section of the Huckleberry Trail which runs from Blacksburg to the Christiansburg Mall, to the new section of the trail that runs into the town of Christiansburg. I quickly realized that I didn’t have my running orthotics in my shoes so after about a mile, I slowed to a walk. The new section of the trail is even hillier than the old, and my still-tired-from-Ragnar legs were happy that I decided to walk. Bill spent the rest of the day working remotely while I did some blog work until it was time to head to our tailgate. Some of our friends had started tailgating at 1 PM, so they were more than primed when we arrived around 5 PM! We had a great turnout and a fabulous time, but it was cut short by electrical storms with heavy rain. Meagan was tailgating nearby and stopped by to say hello. While there we had her snap this picture of us with our longtime Hokie friends Steve and Rhonda, their family, and several other mutual friends. Of course Meagan and I failed to get a picture together! 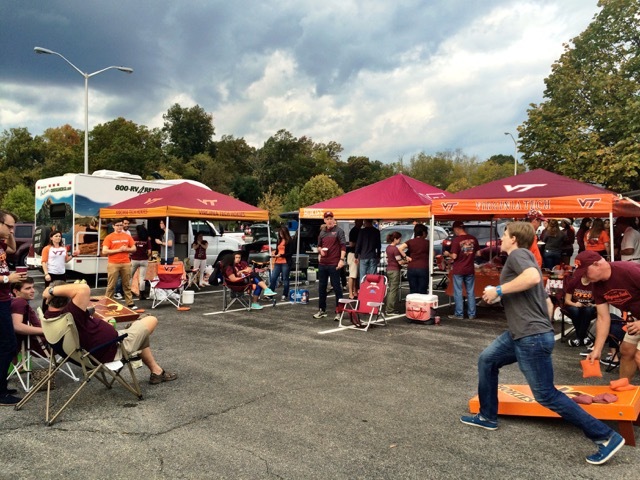 Following @vt_football closely on Twitter, we were well aware of the pending storms; and therefore, had all of our food put away, tents lowered, etc. as we scattered to our cars when the storms hit. We listened to the radio for updates on when the gates would open to Lane Stadium, and were hoping not to have a repeat of the BCA Classic game against Georgia Tech when Lee Corso’s car was hit by lightning in the parking lot outside of Lane Stadium! We finally heard that the gates would open at 7:45 for the 8:05 kickoff (kickoff was delayed by only five minutes). Very few people were inside the stadium when Enter Sandman was played, so they blasted it again at the beginning of the second half! After the storms and rain passed, we had great weather for the second half and went on to win the game. Back at our 11:30 PM post-game tailgate we declared ourselves the best 3 and 3 team in the nation! Saturday morning Bill and I drove to my mom’s house. Bill left early Sunday morning to head back home for a busy week of work while I stayed and chilled with Mom. Sunday afternoon I headed out for an easy run/walk around the farm. It was serious work dodging the cow pies in the neighbor’s field, but it was such a beautiful afternoon I didn’t care! Monday morning I headed out for a more serious run, although I kept it at five miles and stayed on a softer mostly gravel covered dirt road. 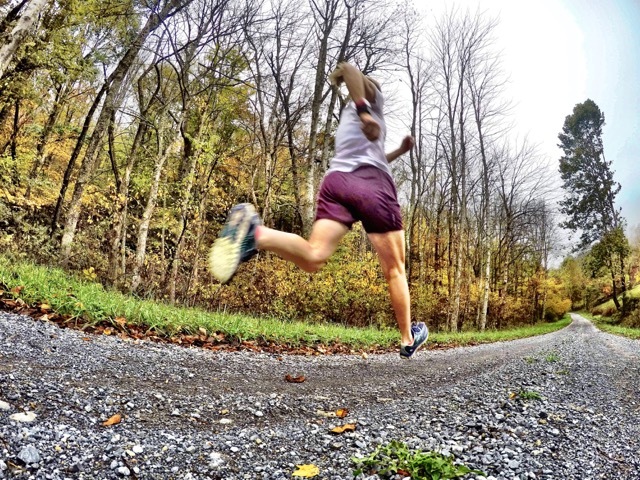 I took my GoPro with me for some fun Instagram worthy pictures, and spent a few minutes after my run playing around with it. Later on Monday we met my aunt (my dad’s sister), and two cousins for lunch at 12:30. The restaurant was quiet and we were seated in a private room; and we sat at that big round table until 4:30! It was so nice catching up. I’d seen my aunt and cousins at reunions and when my dad died, but hadn’t had a chance to really visit with them for years. It blew my mind of how many of my dad’s mannerisms my aunt shared, and at times I felt like he was sitting next to me. Mom and I were so bummed that we forgot to take a picture! I spent Tuesday power-blogging. I wanted to complete all of my Ragnar DC recaps while I wasn’t busy training clients and had extra time. One of the things I love about writing my race recaps is going back over all of the fun memories I have from race day. It was also fun sharing some of my Ragnar pictures with my mom. Mom gardened (putting her vegetable garden to bed for the winter) and then I helped her work in her yard trimming bushes, cutting back flowers, etc. 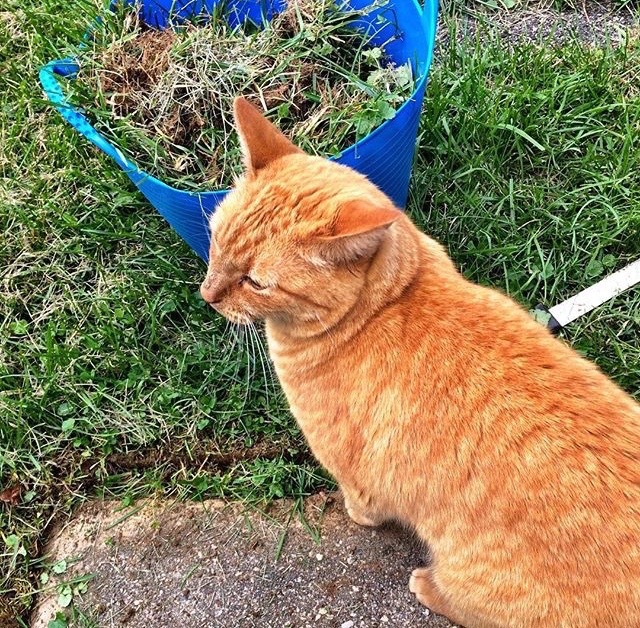 Her two cats add an extra layer of interest when they try to help. Helping to Callie and Hobbes means plopping down where you’re working and begging for a good head scratch! Mom and I spent Thursday out and about shopping. There’s not a Hallmark store near my mom so I take her a few towns over to the nearest one each fall so she can buy Christmas ornaments for her grandchildren and great-grandchildren. She started the tradition with her oldest grandson and hasn’t missed a year of getting each grandchild a dated ornament. It’s very important to her, so I make sure I get her to Hallmark store each year! I found a couple fun little items, too, so I guess I can say that I have officially started my Christmas shopping! Thursday evening was full of excitement as I chatted on Facebook with some of my MRTT chapter members while we formed our Ragnar Richmond teams. I’ve paid, so it’s official that I’m running Ragnar Trail Richmond on April 29 and 30 on an ultra team! 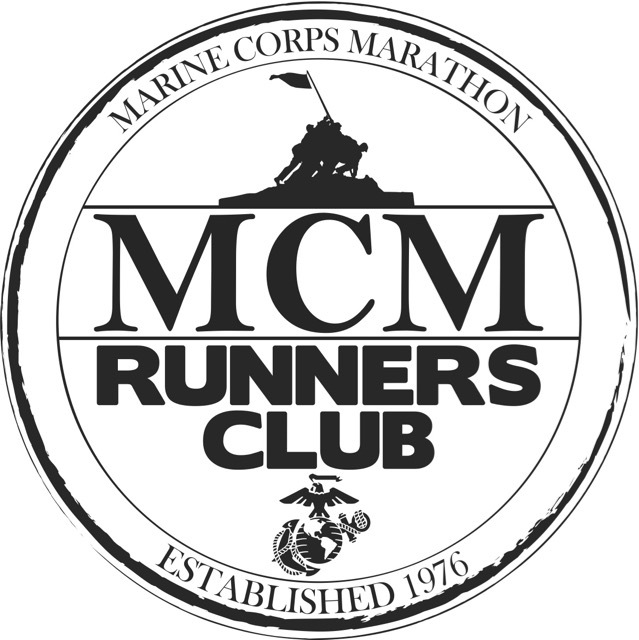 We have two ultra teams and have it set up so that Meagan and I will be running buddies. Running on secluded backwoods trails in the middle of the night is even scarier than running on country roads in the middle of the night, so our MRTT chapter buddies up with another team for Ragnar Trail races. This year we will be fielding enough teams to have our buddies from within our local chapter and won’t have to reach out to another chapter. After a week of just one easy run and a few short walks, I decided my body was well rested from Ragnar and ready for a harder run. Saturday morning I woke to 27.7° at 7 AM. I waited until 8 AM when the temperature had risen to a balmy 28° to head out for my run. Dressed in shorts, a long sleeved shirt, and gloves, I questioned my sanity (I’d left my capris at home). I opted at the last minute not to wear a lightweight jacket because I knew that I’d warm up quickly with the route I planned to run, and if anything got cold it would be my bare legs. I felt a little chilly in the shade the first half mile, but as soon as I headed up the long very steep hill in the sun I warmed up nicely. I ran four miles to the church where Bill and I were married, then visited my dad’s grave (Tuesday will be two years since his sudden death), and ran home. I can always count on reverse splits when I run that route because it’s a long difficult mostly uphill run to the church, with only one significant uphill on the way back. I shocked myself by maintaining a 10:30 average pace considering I took a few walk breaks on a couple of the steepest hills. 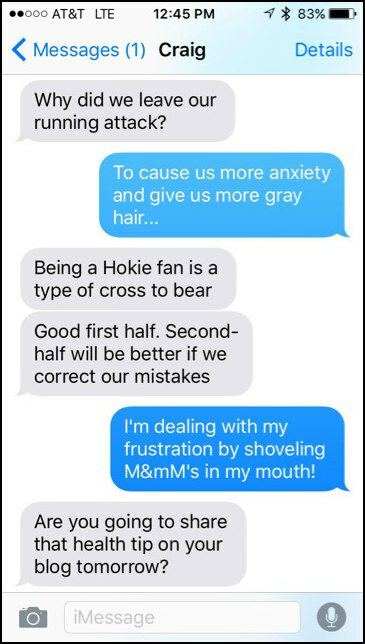 And yes, Craig, I’m sharing my M&M tip on my blog, typo and all! Today we spent much of the day driving across the great Commonwealth of Virginia and I’ve gotta say this is the most un-spectacular showing of fall foliage I’ve seen in years. Since I was looking down most of the ride writing this recap, I guess I didn’t miss much! I’m linking up with Holly at HoHo Runs and Tricia from MissSippiPiddlin for their Weekly Wrap. Be sure to check them out and the other great bloggers joining in on the fun! What was the highlight of your weekend (or last week)? What’s your favorite fall thing to do? We aren’t having overwhelming fall foliage here either. I’ve found a few pretty trees here and there, but nothing spectacular! I’m holding out hope for it to peak soon! Thanks – I love playing around with my GoPro. It’s been the best birthday gift ever! 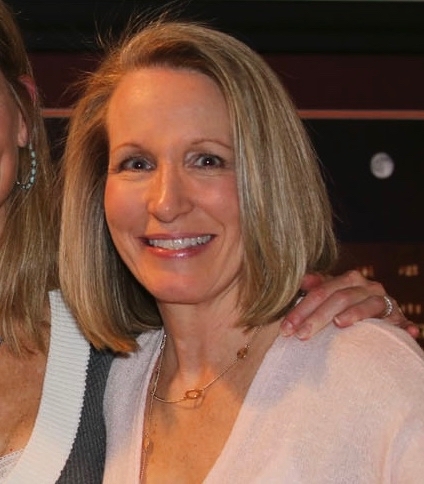 Deb, I’m so happy you decided to link with us! Thank you! 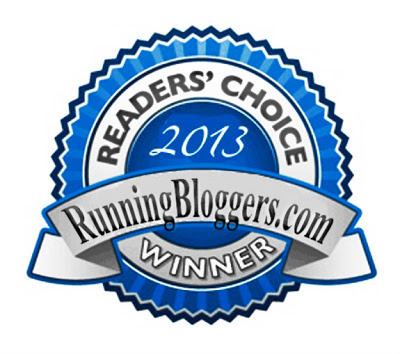 I am very behind on reading blogs but I will get to your Ragnar recaps. That is a bucket list item for me so I’ve got to know how it went down! I am seriously jealous of your GoPro pictures. I’ have used mine, but mostly for skiing video. Are you using a remote control or a timer? I’m also glad you got to spend precious time with your Mom this week. I use a remote control with my GoPro and shoot in bursts of 30 pictures per 3 seconds. It’s worked well for me so far. Bill usually shoots video and then selects the frame he likes best, but that’s too complicated for me! 🙂 I prefer selecting my pictures to keep using my GoPro app on my iPhone and can’t do video on it. I was inspired to write a recap and link with you and Tricia since I haven’t done any type of “what’s happening in my life” post lately. Thanks for providing the linkup! I love your GoPro shots! They are so awesome, I need to look into one of those. Very cool about Ragnar Trail. Is Richmond a new location? Sounds like you had quite the action packed weekend! My GoPro was a birthday gift from my husband last year – best material gift ever! Yes, Richmond is a new add for Ragnar Trail. They moved Appalachians WV to August and added Richmond to their spring lineup. First off your Go Pro pictures are super cool! I still need to catch up on your ragnar recaps- a race is on my bucket list, I am eyeballing Key West 2017. I am a huge football fan and the Cabo Fish taco place sounds right up my alley! Nice week for you! Thank you for the GoPro compliment. I love using it to see what fun action shots I can capture! Ragnar Key West sounds like a fun one. Instead of worrying about mountain lion attacks, would you have to worry about running upon an alligator in the middle of the night? My husband gave me my GoPro for my birthday last year. Best. Gift. Ever! We both have so much fun playing with it, and I think he’s pretty stoked that I use it so much! I loved linking up, and will continue to do so when my weeks are interesting enough to warrant a weekly recap. 🙂 Thanks for providing the incentive! Sounds like a great week… family & friends are so important ! I always love your Go Pro pictures too. We have one but I have never tried it for running, but I might just break it out ! I was assuming you were doing video then clipping it, so thanks for sharing ! 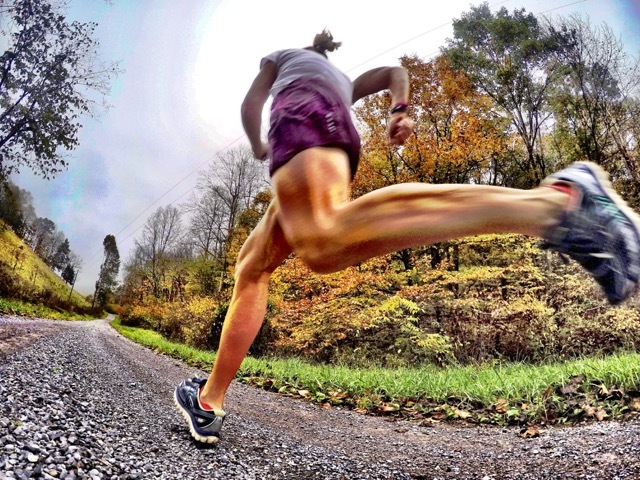 Karen – Fit in France recently posted…Marathon training : week 2. It sucked. 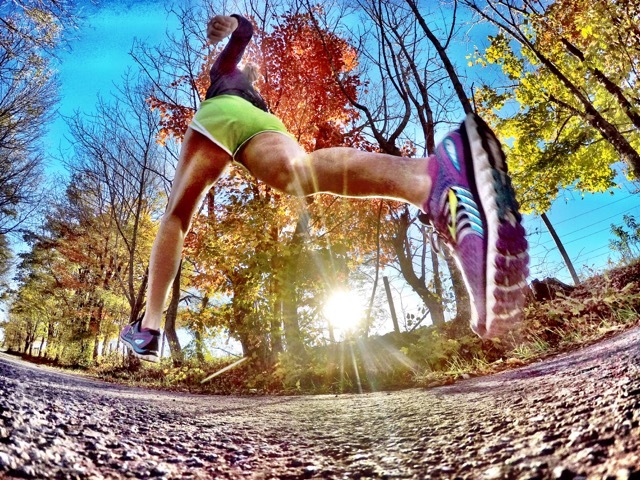 Love your running pics! I have a GoPro too but haven’t figured out the best way to take pics yet. Do you do burst shots or just use video? 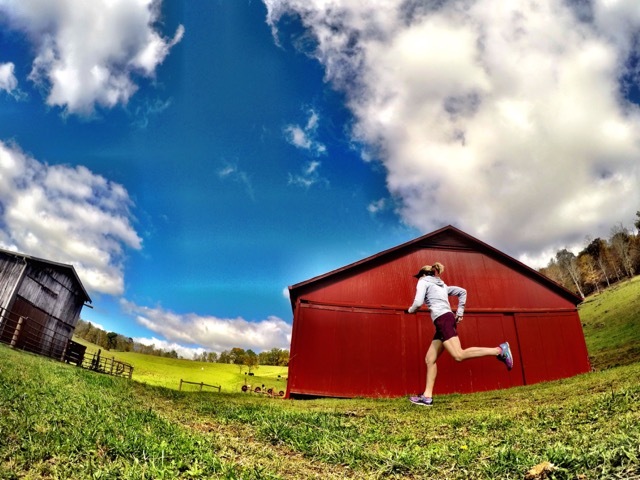 The Ragnar Trail race sounds like fun! My hubby got me a GoPro for my birthday!! I can’t wait to start using it!! Loving the pictures it takes so far! It’s such a great little camera! You’ll love it even more as you spend more time experimenting with it. Your GoPro pics are incredible! Wow, makes me want to go out and buy a GoPro. Sounds like you had a nice week at your moms. It’s always great to see you and Bill and I’m glad we got to meet up for a bit before the NC State game. How many times does that make it now that we’ve failed to get a picture together!? Haha. Reading about Ragnar Richmond got me excited all over again. Thank goodness I was actually paying attention to my phone and Facebook that day! All of the spots filled up so quick. I am super excited we are going to be running buddies and I’m already incorporating more trails and making plans to prepare myself for April. Meagan recently posted…Call Me Crazy….